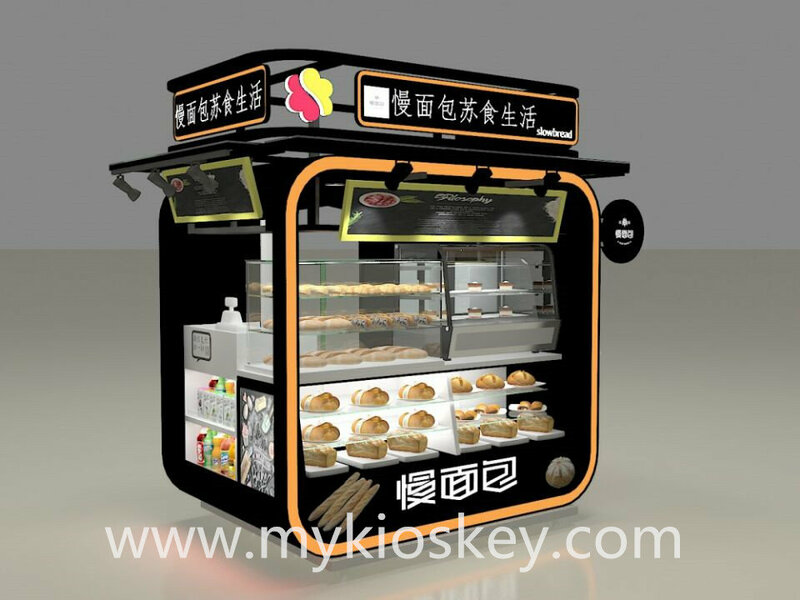 When you walked in the street and beach , youwill notice many outdoor fast food kiosk and mobile store . I have to say the outdoor snack bar is very popular . 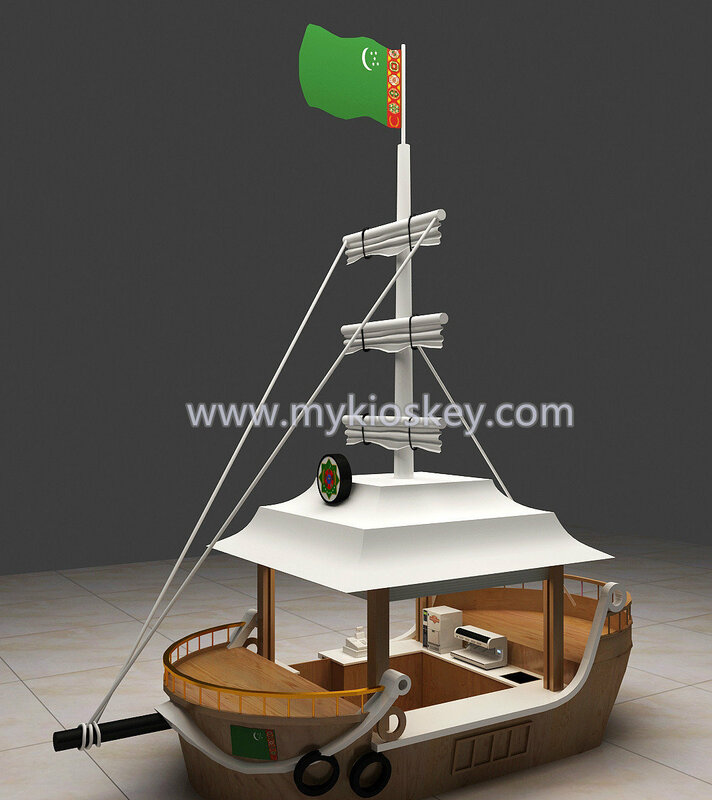 It is a hot service project with plenty of customers and is the first choice of many entrepreneurs . 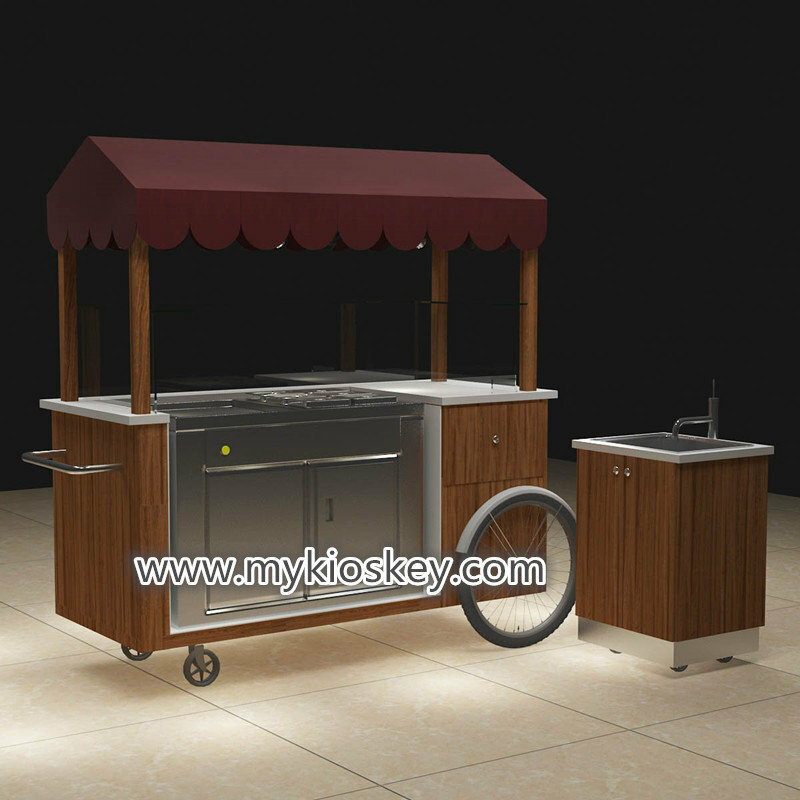 but how to build a outdoor kiosk , This is a very tricky problem . 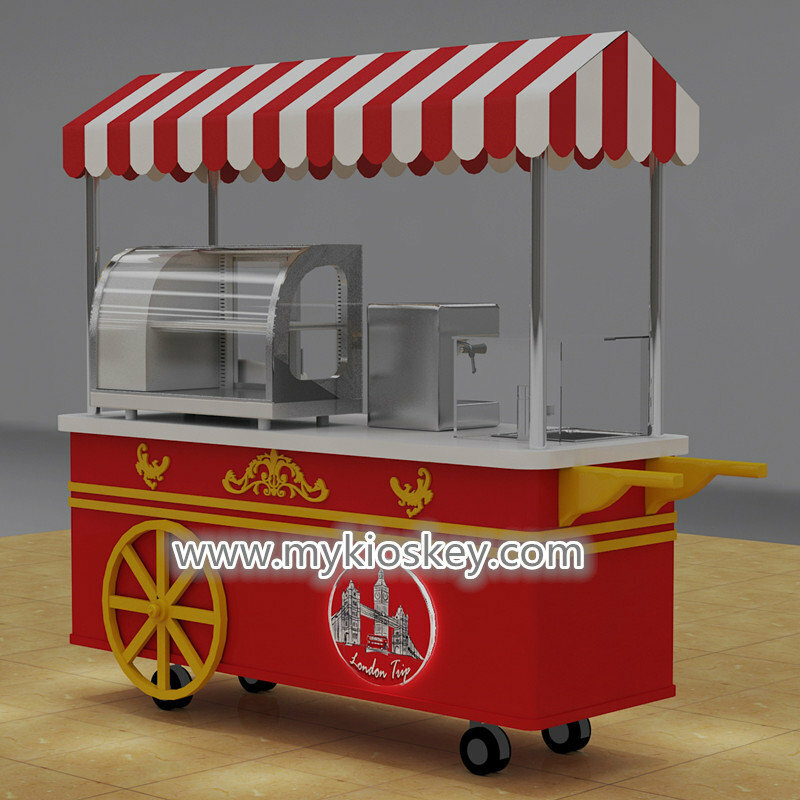 Today I’d like to share one for you hot sale outdoor food kiosk for your meet . 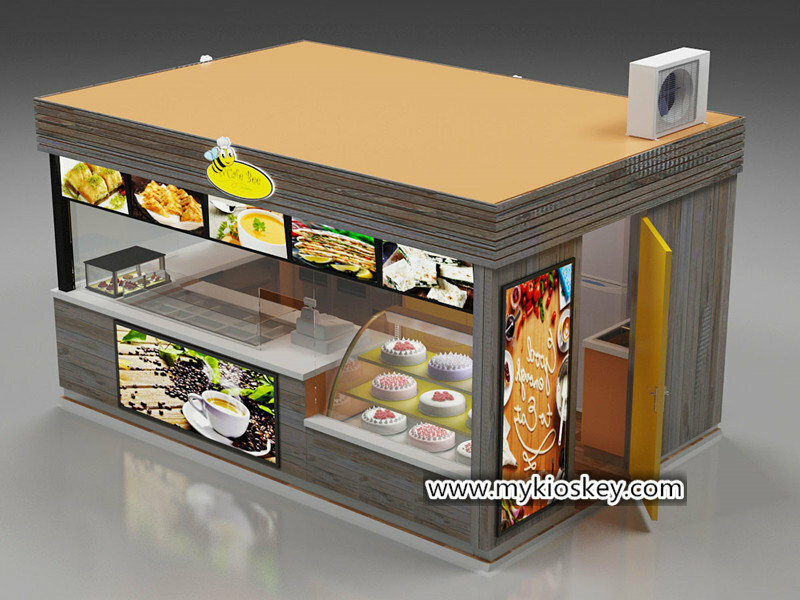 1.More introduce about this outdoor food kiosk . 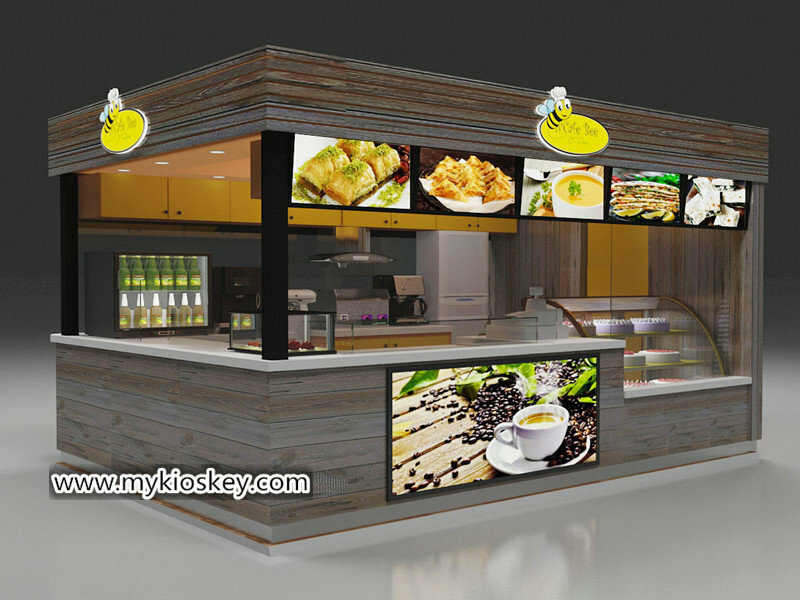 Basic information : Whole kiosk size is 10X15ft . 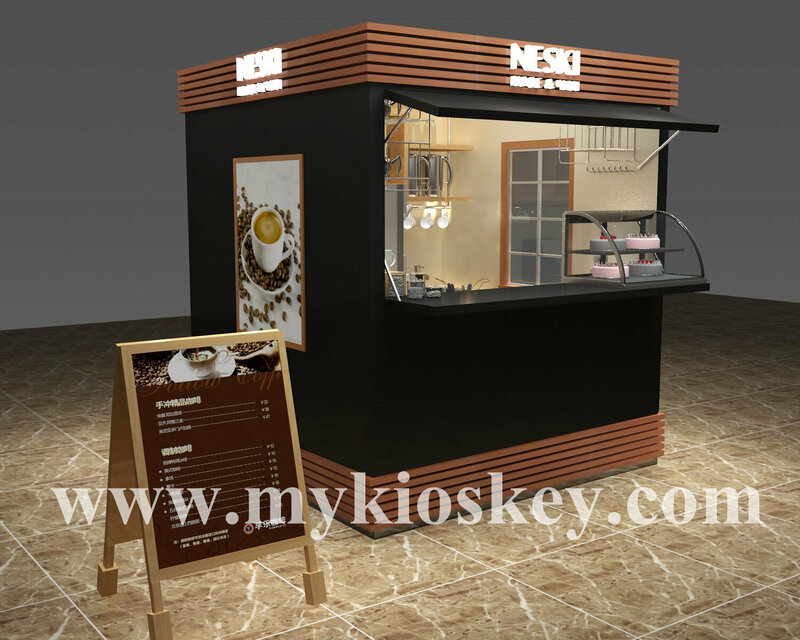 you Can see whole kiosk mainly tone is grey , basic material is plywood, surface is laminate and solid wood strip decoration . white man made stone worktop. 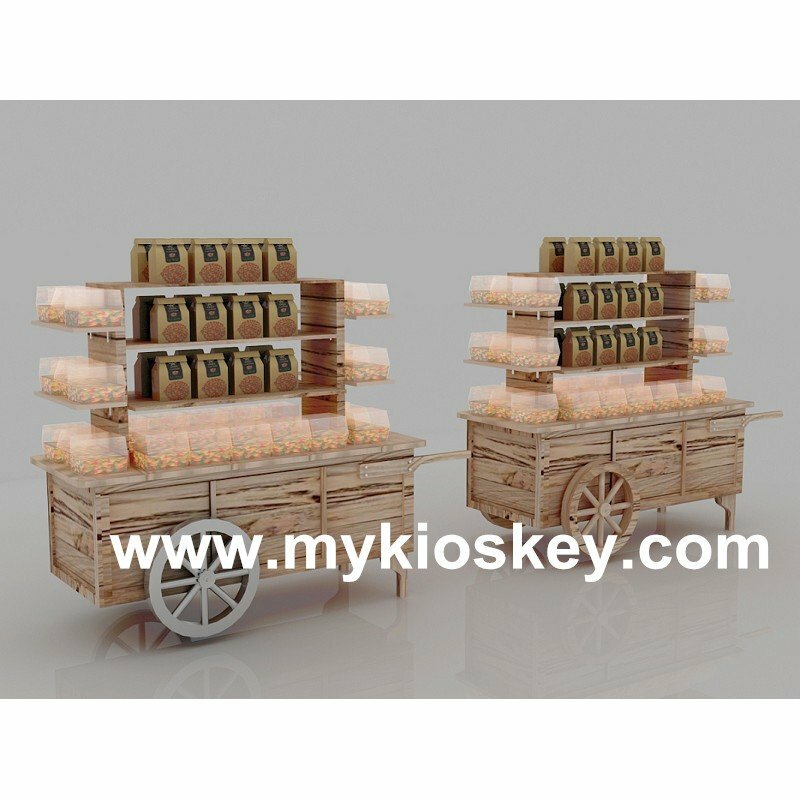 wooden cabinet . 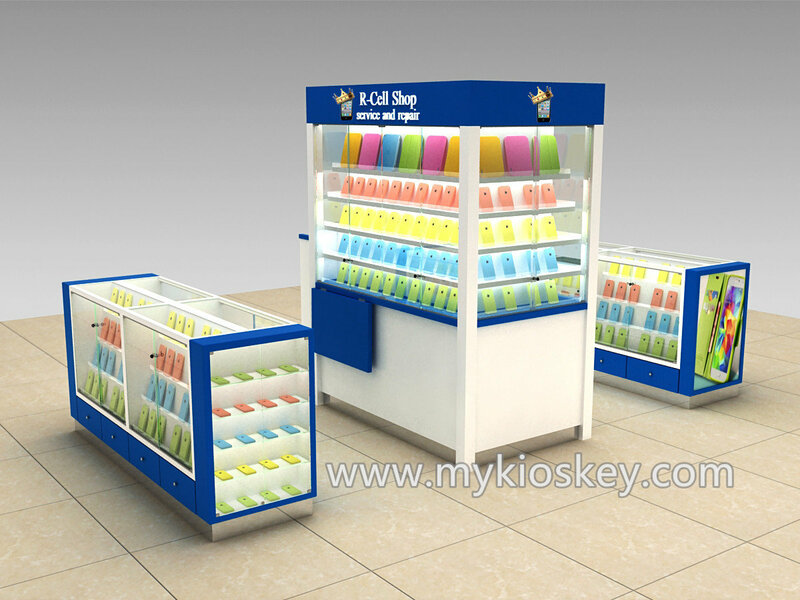 Layout : this kiosk can used for outdoor or shopping mall . 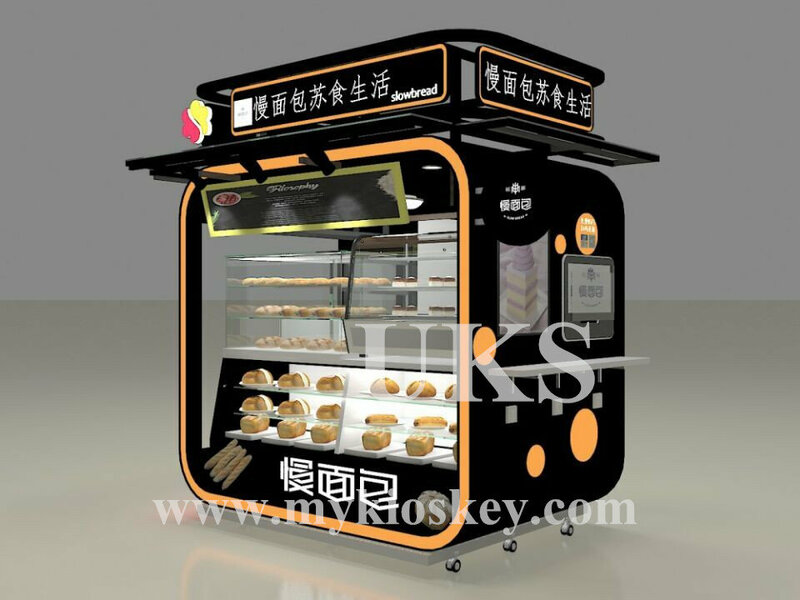 three sides can opening with rolling door . 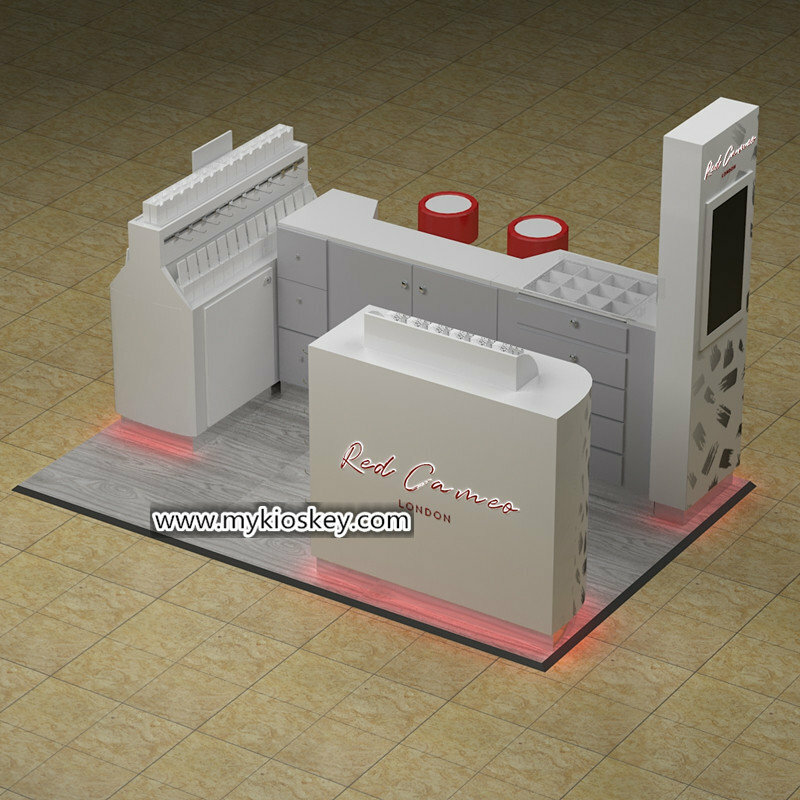 two sides with wooden counter and display showcase . 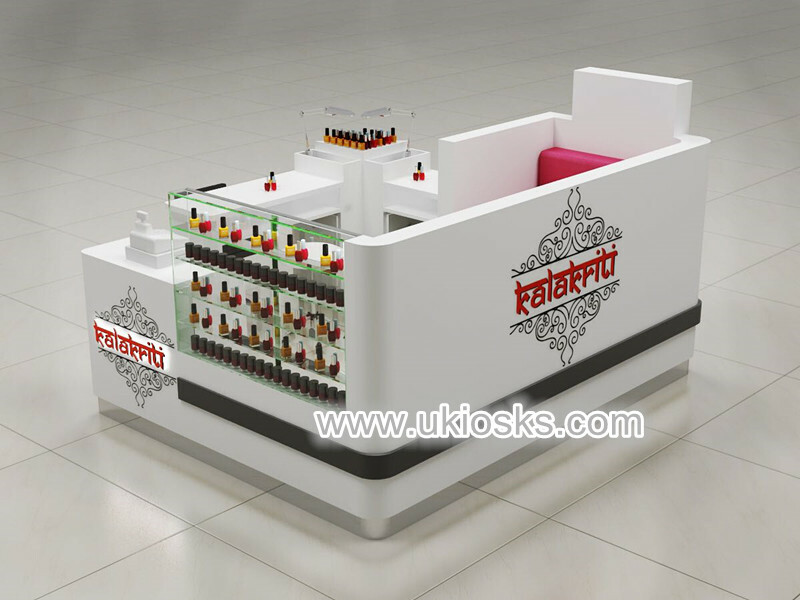 top sides with light box and acrylic logo . 3. 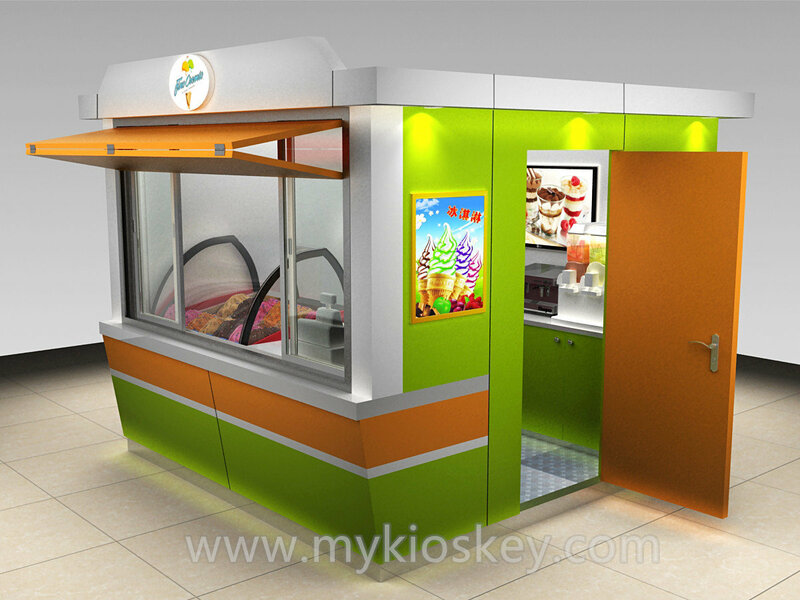 How can i customized a outdoor food kiosk this one ? 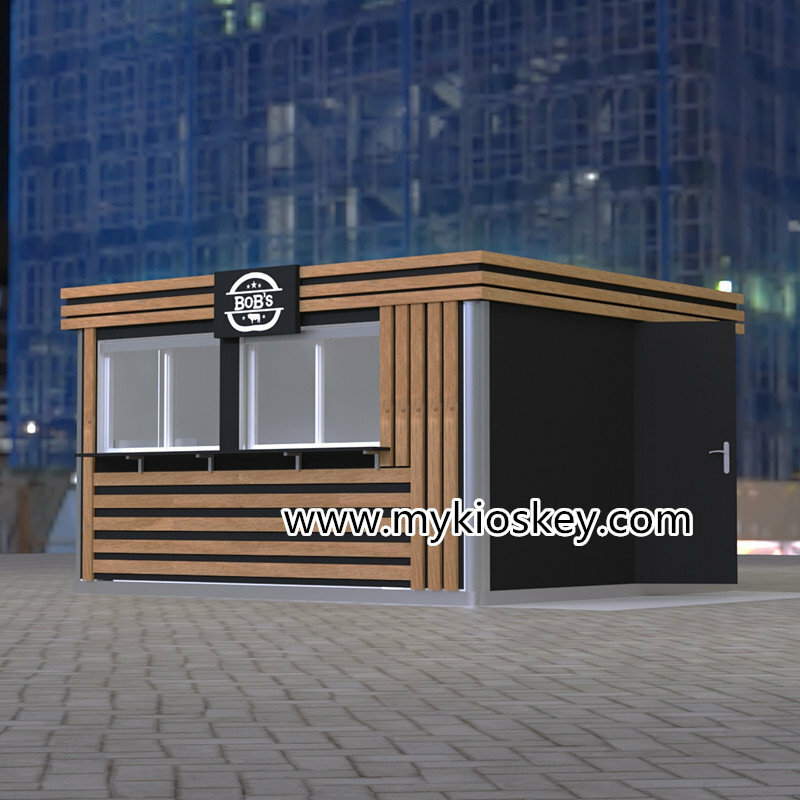 Thanks for your time and reading , if you need more further info or interested build a outdoor food kiosk like this one , pls feel free to contact us , thank you !